In Maricopa County, approximately 98 percent of all criminal and DUI cases are resolved without a trial. On average, only a mere 2 percent of cases go to trial. Most cases are resolved by dismissal of charges, plea bargains, or pre-trial intervention programs such as deferred prosecution. 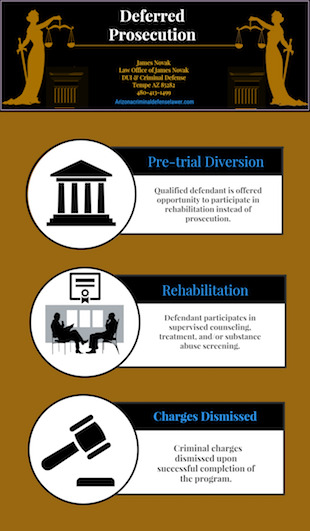 Deferred prosecution is a voluntary diversion program that enables the state to redirect the case from criminal prosecution to a course of rehabilitation. After the program is successfully completed, the criminal charge is dismissed. Those who agree to participate in deferred prosecution as an alternative to trial do not plead guilty. Note this is different from a plea agreement in which a guilty plea is required. The program involves screening, assessment, education, and submission to random alcohol or drug testing. If a participant violates the terms of the program or does not complete it, the original charges will be prosecuted. Examples of violations may include testing positive for alcohol or drugs, or not attending classes. The program is not mandatory. It must be offered to the defendant by the court and prosecution. A person must qualify for the program based on the nature of the charges, criminal history, and other factors. Recent annual statistics from the Maricopa County Attorney’s office indicated that of all those who participated in drug diversion programs for substance abuse, controlled substances, or marijuana possession accounted for a large majority of 77.2 percent of cases. A majority of the deferred prosecution programs offered in Maricopa County involve illegal drug possession or substance abuse charges. The County also offers programs for non-drug related charges such as shoplifting/theft, domestic violence, prostitution, underage drinking, and non-domestic anger related crimes. If you wish to participate and an offer has not been made yet, you should discuss this with your criminal defense attorney, who will request a review of your case. The prosecution and the court will review your case to determine if you qualify and will recommend a program tailored to your charges. Who qualifies for deferred prosecution? Aggravated factors did not surround the charges. What are the advantages of deferred prosecution? The state and the defendant both benefit from deferred prosecution when the program is successfully completed. Deferred prosecution enables the state to resolve cases quicker, reduce court caseloads and save on costs associated with trial. Benefiting from rehabilitation and realizing recovery. Can I go anywhere for counseling? If you are currently enrolled or participating in an alcohol or substance abuse program and wish to continue, your criminal defense attorney will work with you and the court to determine if the program satisfies the minimum standards. What happens if I do not complete the program? Recent annual statistics from the Maricopa County Attorney’s office indicate that about 78 percent of the diversion program participants successfully complete the program. Approximately 22 percent fail to complete the program. Failure of the program is most commonly the result of the non-compliance, failure to attend classes, receiving new criminal charges, or testing positive in random alcohol or drug screening. If a person does not successfully complete the program, the program’s supervisor will notify the prosecution. The prosecutor will then file a notice to resume the prosecution of the charges. If a person does not complete the program, statements they made as part of registration may be used against them in prosecution. This is because Rules of Criminal procedure 410 does not protects statements the defendant makes as part of deferred sentencing. Retain a criminal defense attorney as early as possible. Since not all defendants qualify for the available programs, your criminal defense attorney can work on your behalf with the prosecution, to help you to qualify if it is at all possible. If you agree to deferred prosecution, you should complete the program. Be sure you understand the requirements and terms of the program. Violating the terms of the program or failing to complete it will result in continued prosecution of the charges. Keep in mind that any statements you make as a prerequisite to the program may later be admitted into court to prosecute your charges if the program is not completed. Favorable resolutions such as dismissals or reduction of charges, rarely occurs without representation of an experienced criminal defense attorney like James Novak, of the Law Office of James Novak. If you wish to take your case to trial, you have the right to do so. Most who agree to participate in deferred prosecution do so because it eliminates the risks of trial, getting a guilty verdict, serving time in jail or prison, and receiving a criminal record. You also have the right to accept an agreement of deferred prosecution without an attorney. However, the prosecution is not required to provide this opportunity, and not all defendants qualify easily. To increase your chances of qualifying for an available program, it is important that you retain a criminal defense attorney as early as possible. If the prosecution has already decided that you do not qualify, they often do not change their position. In the least, you should consult an experienced criminal attorney to discuss you matter before going to court for the first time, to make sure your defenses are reserved, and your rights are protected. 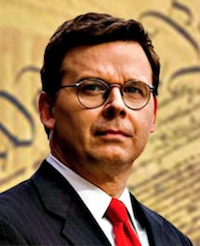 James Novak, of the Law Office of James Novak, PLLC is an experienced criminal defense attorney and former prosecutor. James Novak, DUI and criminal defense attorney has 20 years of experience in criminal law, and provides exclusive defense for those who have been charged with crimes in Maricopa County. James Novak defends clients in courts of Mesa, Tempe, Chandler, Gilbert, Scottsdale, and Phoenix Arizona. James Novak provides a free initial consultation for those clients with active charges in his service areas. You can call and speak with him directly and confidentially about your matter. 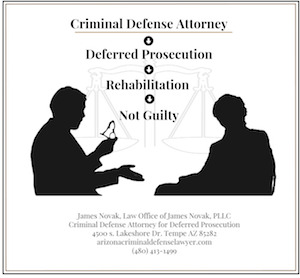 Contact or call James Novak, (480) 413 -1499 today to discuss your situation and obtain information about your defense options and his services.